By recognizing the Outstanding Universal Value of a site, States Parties commit to its preservation and strive to find solutions for its protection. If a site is inscribed on the List of World Heritage in Danger, the World Heritage Committee can take immediate action to address the situation and this has led to many successful restorations. The World Heritage Convention is also a very powerful tool to rally international attention and actions, through international safeguarding campaigns. Often, the World Heritage Committee and the States Parties, with the assistance of UNESCO experts and other partners, find solutions before a given situation deteriorates to an extent that would damage the site. Royal Chitwan National Park in Nepal This Park provides refuge for about 400 greater one-horned rhinoceros characteristic of South Asia. The World Heritage Committee, in the early 1990s, questioned the findings of the environmental impact assessment of the proposed Rapti River Diversion Project. The Asian Development Bank and the Government of Nepal revised the assessment and found that the River Diversion project would threaten riparian habitats critical to the rhino inside Royal Chitwan. The project was thus abandoned and this World Heritage site was saved for the benefit of future generations. The Archaeological site of Delphi in Greece At the time of its nomination in 1987, plans were underway to build an aluminium plant nearby the site. The Greek Government was invited to find another location for the plant, which it did, and Delphi took its rightful place on the World Heritage List. Whale Sanctuary of El Vizcaino in Mexico In 1999, the World Heritage community campaigned against a plan for enlarging an existing salt factory to commercial scale in Laguna San Ignacio in El Vizcaino Bay, the last pristine reproduction lagoon for the Pacific grey whale. The UNESCO World Heritage Committee forewarned the Mexican Government of the threats posed to the marine and terrestrial ecosystems, the grey whales as key species as well as the overall integrity of this World Heritage site by locating saltworks inside the Sanctuary. As a result, the Mexican Government refused permission for the saltworks in March 2000. Mount Kenya National Park/Natural Forest in Kenya The nomination of this site was first referred back to the State Party on the basis of findings during the evaluation that suggested there were serious threats to the site, primarily illegal logging and marijuana cultivation inside the Park. The State Party responded with an action plan which included provision of additional vehicles, increased patrols, community awareness projects, training of forest guards and a review of the policy affecting the adjacent forest reserve. Based on these assurances, the Committee inscribed the site in 1997. Today, some threats still remain but there has been significant progress in the management of the site. Angkor, Cambodia One of the most important archaeological sites in South-East Asia, Angkor Archaeological Park contains the magnificent remains of the different capitals of the Khmer Empire, from the 9th to the 15th century. 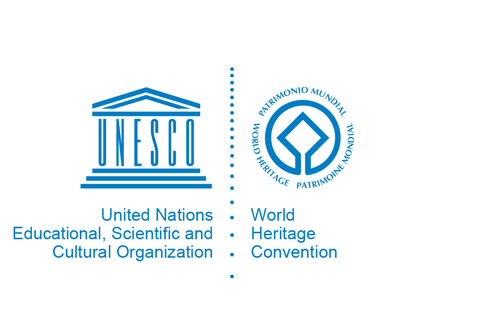 In 1993, UNESCO embarked upon an ambitious plan to safeguard and develop the historical site carried out by the Division of Cultural Heritage in close cooperation with the World Heritage Centre. Illicit excavation, pillaging of archaeological sites and landmines were the main problems. The World Heritage Committee, having noted that these threats to the site no longer existed and that the numerous conservation and restoration activities coordinated by UNESCO were successful, removed the site from the List of World Heritage in Danger in 2004. The Old City of Dubrovnik in Croatia The ‘pearl of the Adriatic’, dotted with beautiful Gothic, Renaissance and Baroque buildings had withstood the passage of centuries and survived several earthquakes. In November and December 1991, when seriously damaged by artillery fire, the city was immediately included on the List of World Heritage in Danger. With UNESCO providing technical advice and financial assistance, the Croatian Government restored the facades of the Franciscan and Dominican cloisters, repaired roofs and rebuilt palaces. As a result, in December 1998, it became possible to remove the city from the List of World Heritage in Danger. The Wieliczka Salt Mine, near Cracow in Poland This property was inscribed in 1978 as one of the first twelve World Heritage sites. This great mine has been actively worked since the 13th century. Its 300 kilometres of galleries contain famous works of art with altars and statues sculpted in salt, all of which were seriously threatened by humidity due to the introduction of artificial ventilation at the end of the 19th century. The site was placed on the List of World Heritage in Danger in 1989. During nine years of joint efforts by both Poland and the international community, an efficient dehumidifying system was installed, and the Committee, at its session in December 1998, had the satisfaction of removing the site from the List of World Heritage in Danger. The Ngorongoro Conservation Area in the United Republic of Tanzania This huge crater with the largest concentration of wild animals in the world was listed as an endangered site in 1984 because of the overall deterioration of the site due to the lack of management. By 1989, thanks to continuous monitoring and technical cooperation projects, the situation had improved and the site was removed from the List of World Heritage in Danger. Sites for which international campaigns were launched in the 1960s, often became World Heritage sites, and the World Heritage concept itself developed from these first international campaigns launched by UNESCO. Typically, however, international campaigns are much broader in their scope, more complex in their technology, and involve millions of US dollars. The Abu Simbel project in Egypt, for example, cost in excess of US$80 million. Over the years, 26 international safeguarding campaigns were organized, costing altogether close to US$1 billion. Venice, Italy The longest running international safeguarding campaign has been on-going since 1966 when UNESCO decided to launch a campaign to save the city after the disastrous floods of 1965, a task requiring time, a high degree of technical skill and, above all, money. The international synergy that arose from this project was an important source of inspiration to the founding efforts of the Convention. Temple of Borobudur, Indonesia An international safeguarding campaign was launched by UNESCO in 1972 to restore this famous Buddhist temple, dating from the 8th and 9th centuries. Abandoned in the year 1000, the temple was gradually overgrown with vegetation and was not rediscovered until the 19th century. With the active participation of the Japan Trust Fund for the Preservation of World Cultural Heritage and other partners, the restoration of Borobudur was completed in 1983. In our ever more globalized world, local communities are playing an increasingly important role in heritage conservation. Along with the many benefits deriving from inscription on the World Heritage List, there are special challenges for those living near, working at, or visiting World Heritage sites. Increased visitation to a site, one of the desired benefits of World Heritage status, can also call for involvement at all levels to have this growth carefully managed. Stakeholders have both benefits and responsibilities and their voice is crucial. Cooperation at Parks Canada. The project represents an example of cooperation between local communities to ensure the preservation of cultural and natural heritage, including at Wood Buffalo National Park. Parks Canada has strengthened relationships with Aboriginal peoples by developing a framework that engages Aboriginal communities in the planning and management of national parks, national historic sites and marine conservation areas. A video, available on the Parks Canada Web site (www.parkscanada.gc.ca/aboriginal) demonstrates the dedication, knowledge and passion of Aboriginal partners and Parks Canada team members who work together to find new and innovative ways to conserve the biodiversity and cultural heritage of protected heritage areas.